Teferi waits patiently while Windgrace talks with Freyalise. He will know soon enough about her response. As for the Skyshroud and Urborg rifts, Teferi can sense that both of these Phyrexian made rifts have synced up with each other. 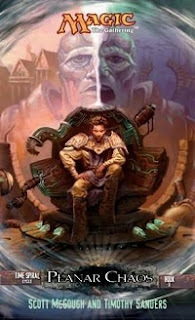 Lord Windgrace speaks up and and let's Teferi know that Jhoira has arrived in Venser's workshop, but it's up to Teferi to get there, Freyalise asked him to keep watch with what she's doing. Jhoira takes a look outside and sees both Lord Windgrace and Teferi floating in the sky. If she uses the ambulator to teleport up to them hopefully they will assist her in keep afloat, otherwise she'd just have to use the ambulator to teleport back down before she crashes down to the ground. A familiar voice calls out to her. One she's not sure she should trust. But it really is him this time. Karn has arrived. The silver planeswalker takes a look at the rift and there's no mistaking that the rift is the major issue at hand. He tells her that there will be time to catch up later and asks what that's about. A familiar sense of comfort settled over Jhoira. 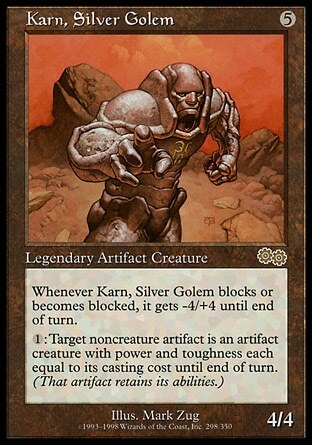 Karn was Karn, practical, focused, ready and willing to help. She asks him if he can take her where the other two are. He says of course... but... wait. Something's happening in Keld, above Skyshroud Forest. Freyalise laughs. With her power restored to her she blasts away at slivers and Phyrexians alike. Her tree has now grown taller than the tallest peak in Keld, but it just grow taller for her to reach the rift. The Weaver King tries to poke and prod at her, and he makes claims he can't really follow through on and she just shoos him away. She would love to just stay and destroy each and every one of these creatures one at a time, but there is something that needs doing. Teferi was right. He was right. She had watched him in Shiv, watched him ready to die to further his cause and his bravery shamed her. This is the only way. She has always claimed she was willing to die for her people, but when it came down to it she had hesitated. But she'll hesitate no more. Freyalise sheds her body and tells Windgrace that the Tolarians are right and this has to be done. 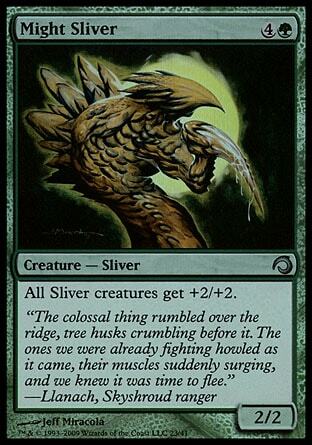 As the slivers and Phyrexians reach the top of her tree there is nothing for them destroy. Higher and higher she rises, searching for the top of the rift. She wants to grab on to the edge and feed it into itself. Hanging in midair for a moment, Freyalise drew in the last of the mana she had reclaimed from Skyshroud. She had no more regrets. She had no more hesitation. She had no long list of memories to catalogue, no peers to bid farewell. She was Freyalise and she had always walked alone. She gathers all her power into herself and she slams all her force into the rift and releases all her power in one explosive burst. The rift expands for but a moment before collapsing in on itself, and the wound is healed. Down below, the last tree in Skyshroud erupts in a powerful emerald blast taking everything with it. Freyalise was gone. The rift was gone. And the valley that once housed Skyshroud now sat empty, silent, and still. 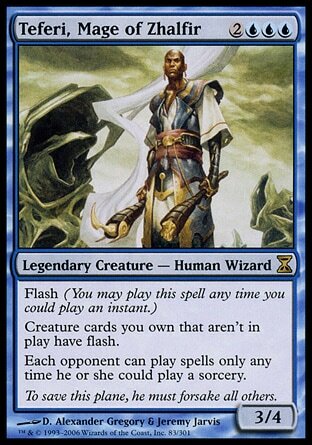 Unlike Teferi, it sounded like she's gone. There's no depowered mortal form for her to claim. She's just been to drained of power over these centuries as the rift grew in power. She's had too many people to fight against like the Gathans. And so much for Radha or Jodah taking over care of Skyshroud after she's gone. But what of the Weaver King. Is he still in Skyshroud? I assume his phased out body can't be killed by the explosion. How is he going to be taken care of if he's not in Urborg where everyone else is? It is possible he becomes a larger problem in book three, but considering how that Greht was handily dealth with in Book One and I'm assuming that McGough did the plotting for both books, my guess is that by the end of this book we'll be saying good-bye to the Weaver King as well.